NATICK, MA, March 28, 2011 — Genelec, the world’s longstanding pioneer in active monitoring, offers its new BroadcastPak. Composed of five 8030A Bi-Amplified Monitors and a 7050B Active Subwoofer, the BroadcastPak offers a space-saving 5.1 monitoring solution, ideal for multi-channel editing rooms, mobile recording trucks and other mixing environments where space may be at a premium. The very compact 8030A is a powerful, yet compact bi-amplified nearfield monitor system ideal for broadcast mix, project and home studios, workstations, installations and surround sound monitoring. The MDE™ (Minimum Diffraction Enclosure™) aluminum die-cast enclosure has rounded edges and a gently curved front and sides to achieve a very smooth frequency response and superb imaging qualities with minimized cabinet edge diffraction. Like all Genelec 8000 Series monitors, the 8030A also features the advanced Genelec Directivity Control Waveguide™ (DCW™), a revolutionary flow-optimized reflex port design, optimized die-cast aluminum structure with extremely durable semi-matte finish and acoustically optimized metal grilles. Low distortion drivers are driven by dedicated dual 40 Watt amplifiers after sophisticated filtering. Magnetic shielding, overload protection circuitry and versatile room response controls — so critical for smaller rooms — are standard. The versatile mounting features include integrated rear support points for wall and floor stands plus a further 3/8" thread for mounting on the cabinet base. 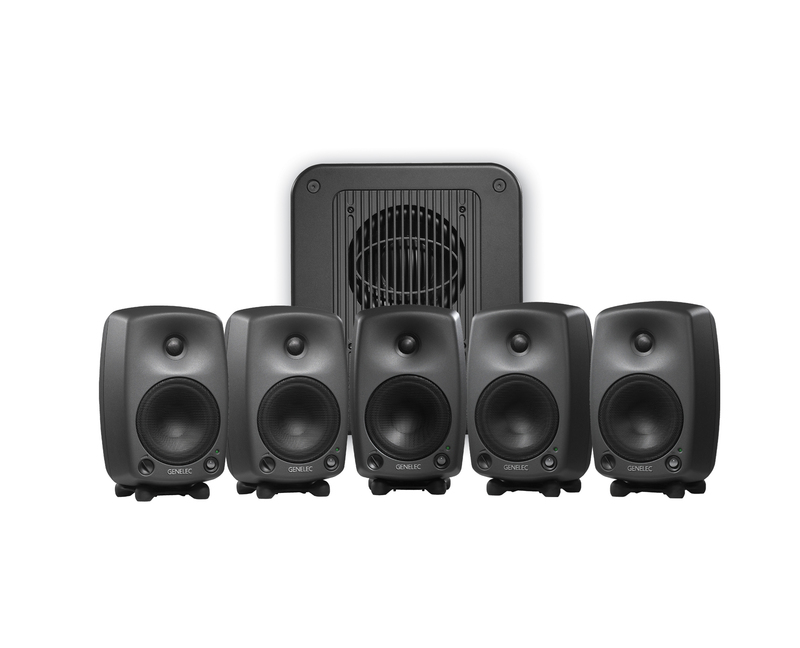 The Genelec BroadcastPak is now available with a U.S. MSRP of $5350.00. For more information, please visit www.genelecusa.com.